You do not want that new exhaust, that you just installed, to sway side to side under hard cornering do you? Of course not! You want that new exhaust to stay firmly in place during your commute to work just as well as when you are on the track! COBB Tuning Urethane Exhaust Hangers solve this dilemma! To help reduce excessive exhaust movement that can lead to the occasional rattle or rubbing, COBB Tuning offer highly durable Urethane Exhaust Hangers which are an exact replacement for the factory units. 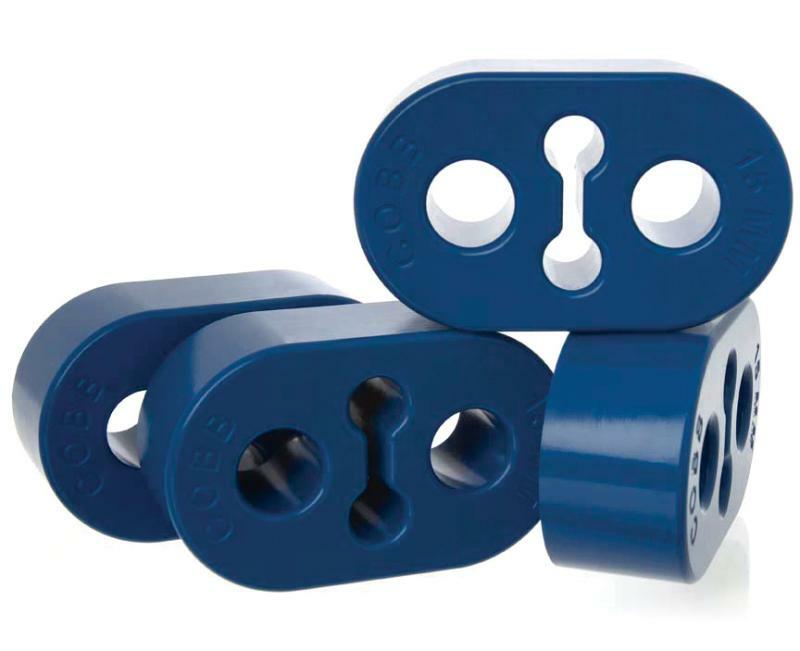 The urethane mounts are much more rigid than the soft, factory rubber mounts and come in handy when your exhaust system occasionally taps the differential or sway bar during aggressive driving. Note: Hangers are sold individually!